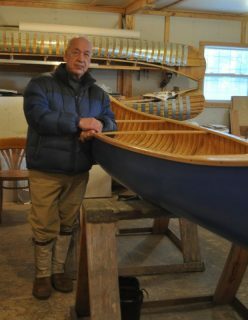 “I can’t remember not using them,” said Joe about canoes, “either being a little passenger in them or paddling them myself.” Born in 1939 into a family of trappers in Mud Lake, Labrador, Joseph Goudie grew up around canoes. His father, Jim, and brother, Horace, would paddle for five weeks each fall to reach their trap line. 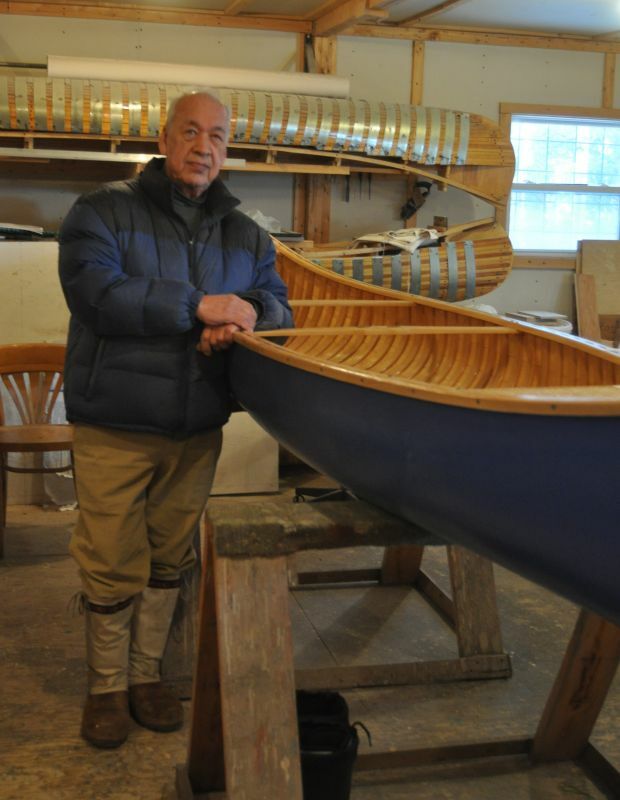 Leaving the canoe behind, they would snowshoe for twenty-two days home to Mud Lake, towing a toboggan of pelts.